This weekend I attended the annual fundraising event for our local Ronald McDonald Houses here in Salt Lake City, and it was a nice evening. 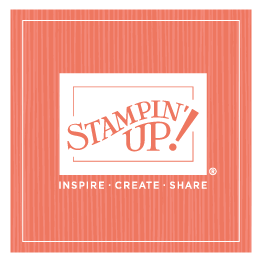 It was a silent auction, dinner, and dance, and several other representatives from Stampin’ Up! were there as well—it’s always nice to socialize outside of the office with people I work with. Sterling was out of town, so he didn’t attend. That meant that I ducked out about the time the dancing started because I had no dancing partner, but the rest of the evening was enjoyable. The silent auction was very successful, with lots of great items available. I always like to see the bidding go high because the cause is so worthwhile! Dinner was delicious, and as I mentioned, the company was great! Stampin’ Up! has earned money in the past for a variety of philanthropic efforts; however, the one organization we have actually sponsored for the past five years has been the Ronald McDonald House Charities. We donate money and cards made by our demonstrators every year, as well as overseeing Stampin’ Up! demonstrator teams that volunteer at local Houses. The Executive Director of the Salt Lake House came over and talked to me at the event this weekend, mentioning how much they enjoyed the regular stamping activities that our demonstrators organize. Her gratitude reminded me why we got involved in the first place! Part of the program included a short video presentation that told the story of some families who had been guests at the House. Of course, I teared up! I’m grateful that the Ronald McDonald Houses across the world offer the families of sick children a place to call home, and I’m honored to be involved. I know that many of you are involved on our local teams as well, and I thank you for serving at the Houses.